At Bloody Knuckles Motorcycles we value customer service and quality workmanship. We have Harley Master Tech mechanics and a Certified Honda Mechanic. Call, email or come by today and let us know what we can do to keep you and your bike on the road. Each of our mechanics has a minimum of 10 years dealership experience. We are proud to help our customer's visions come to life. 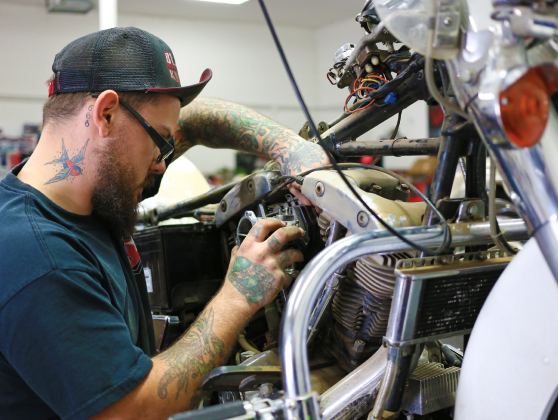 Whether it's is building out a motor, custom paint, or fabrication... we work with a team of trusted experts to create the bike you have always dreamed of. Custom motors, exhaust, handlebars, paint and more.